Solder is used to join together separate strips of lead. Different grades of solder mean it flows slower or faster. We use K grade solder which is good for copper foil work (Tiffany style lamps) and for leaded work. 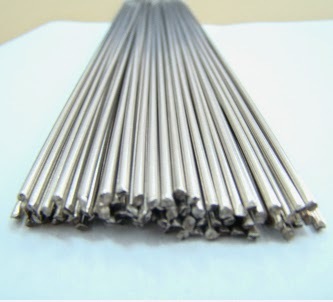 Solder is an alloy made up of 60% tin and 40% lead. Soldering has been used since Medieval times to hold the lead in place, and one of the first written records of this practice is from 1100, Theophilus On Divers Arts.